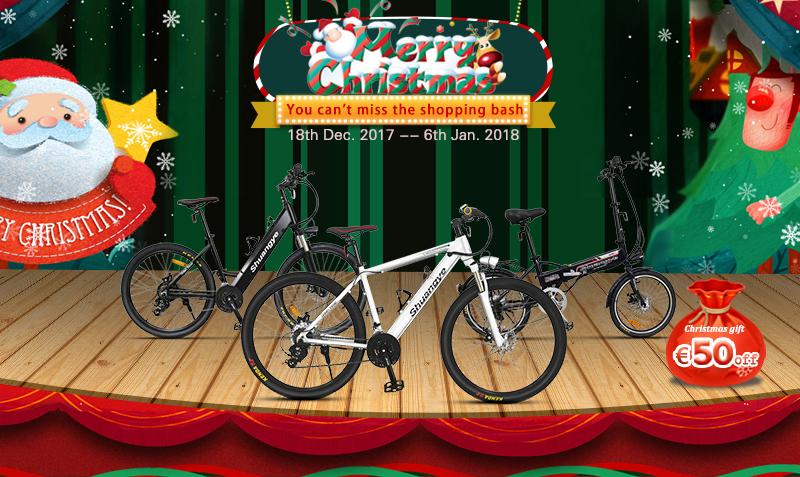 The countdown is on,it’s time to choose a Christmas gift for your friends or family.Shuangye electric bike online launch €50 to celebrate the festival,We provide free shipping and quick delivery,you can receive the products within 3-7 days. Own an electric bike,you can go exercising,commuting,exploring or just have an entertainment.Integrated with brushless motor and big capacity lithium battery,your travel will be more energy-saving and interesting. The electric bike online contains our best seller model-electric mountain bike A6AH26,folding electric bike A1-7,ladies electric bike A5AH26.Also,we will launch more models in the near future. There are two colors for you-black and white,each of them have urban design and high quality,create a comfortable and convenient life for you. For more information about your interested products,please feel free to contact us.